In the beginning, two of my four students had never really played an instrument before and we spent a day or two just trying to get our instruments to make appropriate sounds. Now, just a few months later, we had the opportunity to share our progress with our grandparents. There was a lot of excitement surrounding the performance and we received a ton of positive feedback. See the video here! For us, it was a first chance to play in front of an audience and shake off some nervous jitters before bringing our music program to local elementary schools. We are also working on several shorter pieces and mini-skits for our elementary school performances, which we’ve been planning since the beginning of the semester. 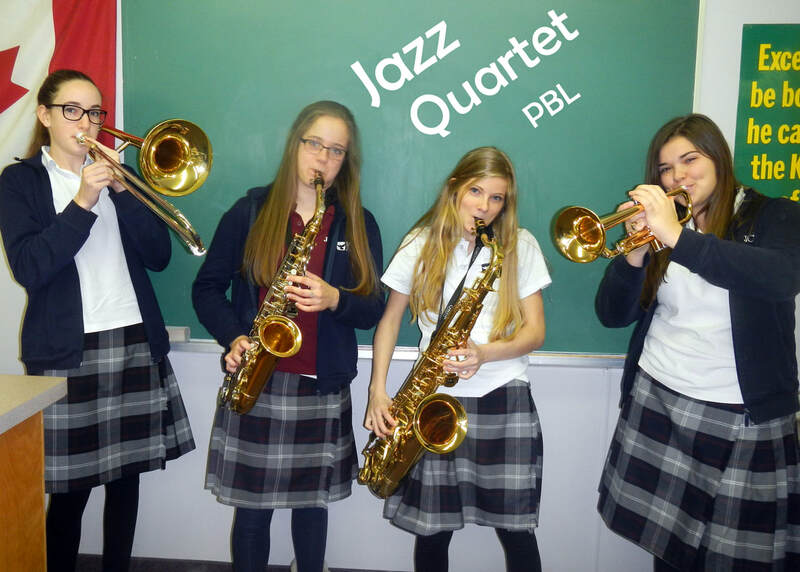 We have a performance booked for our own primary grades on April 24, and we head to Calvary Christian School in St. Catherine's on Monday, April 30. Whose story should be written? How might writing someone's life story be an act of service? ​These are a few of the questions that my grade 7 class at Providence Christian School in Dundas have been considering together as we prepare to write the stories of the elderly in our community this spring. Over the course of the next few months, our class will be sitting down with residents of a nearby retirement home to build relationship with them and to listen to their stories. From the information they learn throughout the interviews, the students will be writing and publishing their new friend's biography, which they will present to the residents as a gift at the end of the year. Through this project, we hope to not only take our learning outside of the classroom walls, but also to honour the lives of those within our community whose stories might not otherwise be told. Please click here to read our weekly blog which gives updates and pictures of the project as it progresses! This semester, we joined three Redeemer University students in organizing an inter-generational Adult & Youth Bible study at HDCH. Our driving question for this faith-based project was, "How can we close the inter-generational gap that exists within our community while strengthening our faith?" From this question, our inter-generational Bible studies became a reality. Together, we are currently running a Bible study every other Tuesday in our school cafeteria. This Inter-generational Bible study runs from 9:00am-10:20am and is geared toward bringing retired adults within our community into HDCH to study the Bible together. The goal of this Bible study is to build discipleship between members of the community while bridging the inter-generational gap that exists within our community. Every other Tuesday, students of the Christian’s in Society class meet with members of the community and develop relationships over coffee, homemade pastries, and fun interaction before focusing on studying the Word of God. Through this Bible study, each participant has the opportunity to reach out to our larger Christian community, as well as to reach in deeper to the Word of the Lord. This Bible study has been a blessing to all its participants, and will continue to be one as it goes on throughout the semester. Our next Bible Study is April 24th followed by May 8th and May 22nd. If you are interested in joining us, please come to HDCH for 9:00am on these mornings. You'll be amazed at what is happening within our community! 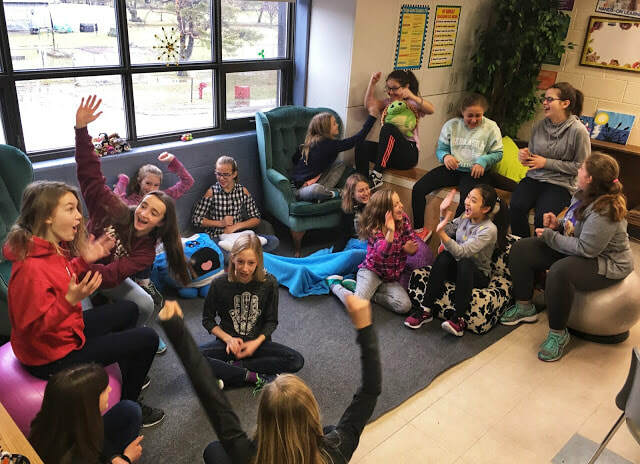 The Write To Hope project is a collaborative project with EduDeo Ministries, the grade 7 class at Providence Christian School in Dundas, and the grade 6 class at Trinity Christian School in Burlington. 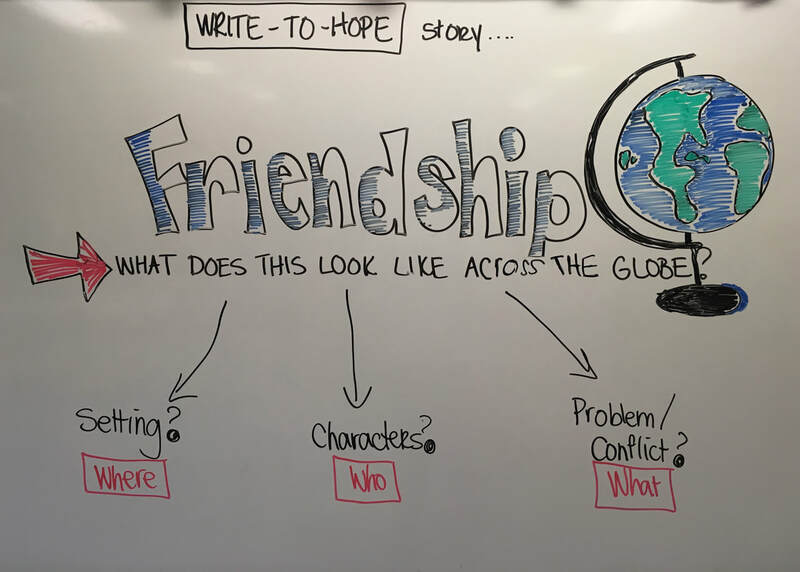 Students will work together with a school in the Dominican Republic to write a story that teaches a lesson on truth. Each class will take two weeks to write a chapter of the story, which will then be translated and sent to the next school to continue. When the story has been completed, one class will also create illustrations for the story before it is sent to be published. Students and community members here in Ontario will be able to purchase the book, and the funds will be donated to the school in the Dominican Republic so that they can purchase necessary supplies for their classrooms. Throughout this project, we will be discussing how, even across cultures, our stories still have both similarities and differences. As well, we will discover ways in which helping developing nations can be both healing and hurting at times and how Christians need to find ways to bring hope to the world by respecting and collaborating with other cultures. Our hope is that this project will bring fresh perspective to the students from each of the schools about how we can partner together, even from a distance, to make a difference in each others lives. The Christian Teachers Academy is pleased to offer four project grants to its alumni. The maximum value of a grant is $500. The first two will be awarded in February and the second two will be awarded in March. Help your students complete The Academy Student Project Grant Application outlining the project details. Complete a Project Outline Form that outlines your project details. Prepare a timeline for the project with class and project goals. A completed Academy Classroom Grant Application Form. A budget illustrating how the money will be spent. The applications will be reviewed by several of the coaches and the Executive Director of The Christian Teachers Academy. Impacts student learning (Mastery of Knowledge and Skills). Fosters the creation of Beautiful Work through student learning. Fully incorporates the elements of The Academy model of PBL. Provide us with some updates of the progress they are making using a blog, website, or other social media platform. How you answered the driving question. The specific things that you learned. The stages of your project. How you have shared your work. Invite The Christian Teachers Academy to attend a presentation or a celebration of their learning. (We will do our best to have a representative attend). The project video (3+ minutes) and updates will be used on The Christian Teachers Academy website and social media. (Teachers, if students faces are in the video, please make sure that all students have a current media release).